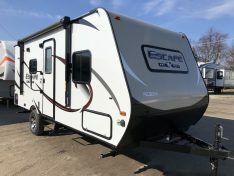 Spree Escape light weight Travel Trailers are crafted by KZ RV manufacturing. 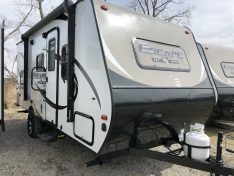 Spree Escape RV’s are built with quality materials. 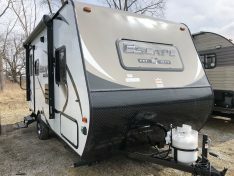 The Escape is light weight and affordable, comfortable and versatile, with distinctive features in comparison to the others in it’s class. Spree Escape by KZ is the big sister to KZ RV’s Sportsmen Classic Line. Being a loyal KZ Spree Escape dealer we have seen most Escape floor plan models. Our RV experts will be happy to take the time to explain the benefits of each model to help you find the light weight RV of your dreams! 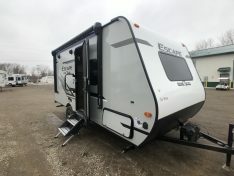 The Spree Escape 231BH travel trailer is a double axel, one slide out double over double bunk house.